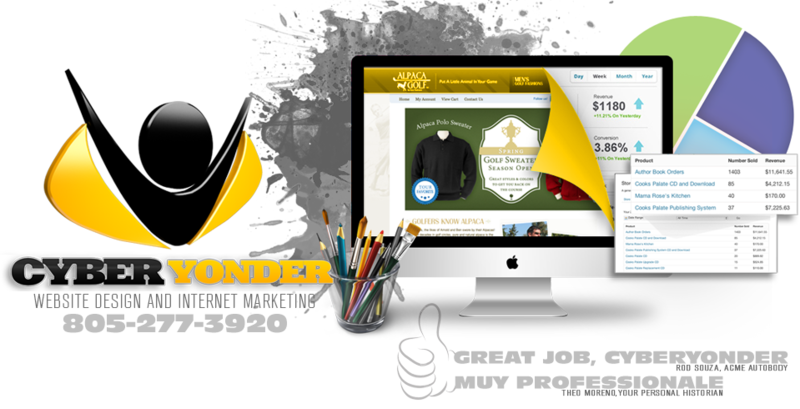 We build websites that work for your business, from the look and feel to converting sales. SEO is the process of improving your rankings on Search Engines to increase overall traffic to your website. 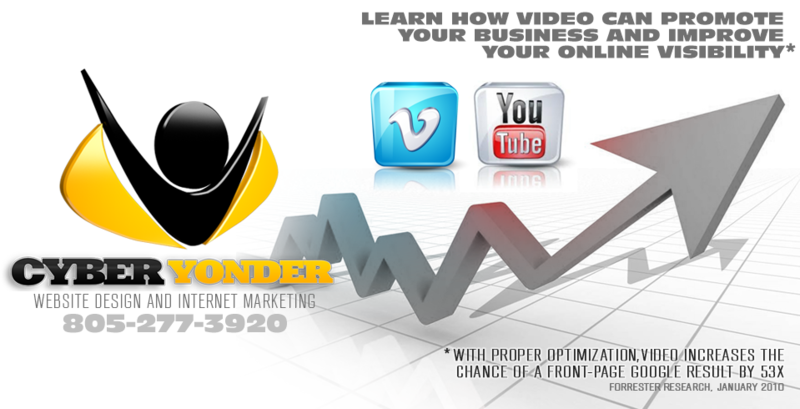 Develop viral marketing videos to increase your websites SEO value and easily share what you have to offer. 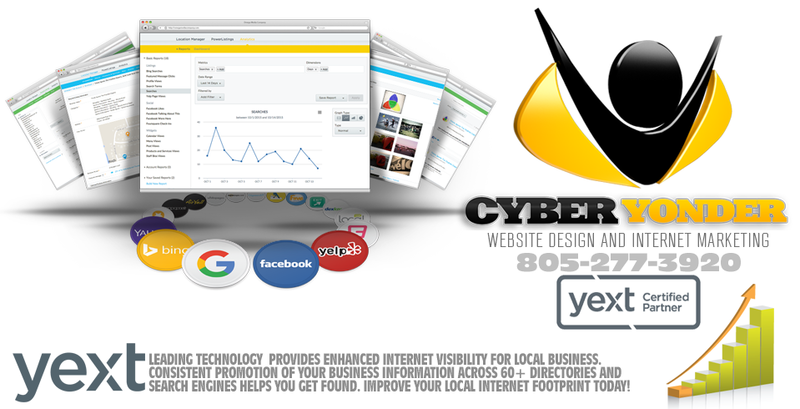 CyberYonder specializes in website design and internet marketing for businesses located in San Luis Obispo and the California Central Coast. Our top team of website designers and Search Engine Optimization experts have the skills to make your Internet development project a success. Let CyberYonder be your guide to navigating today's ever-changing Internet landscape, while avoiding the dangerous marketing pitfalls and mis-steps so commonly made by businesses today. 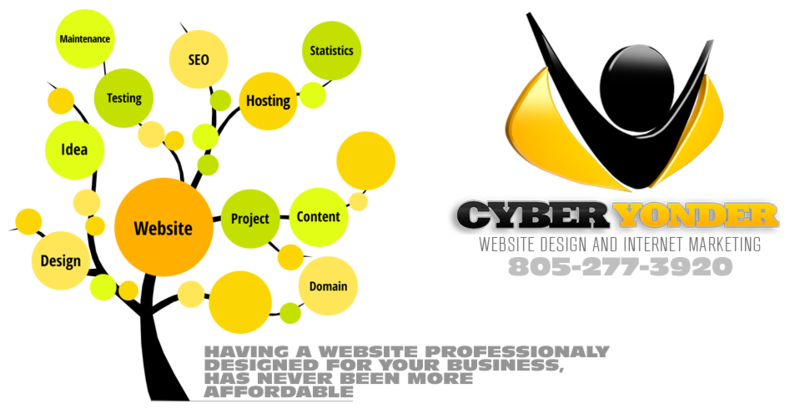 Affordable, professional website design for San Luis Obispo and the Central Coast. The internet is getting more competitive every day and that. I’m the one who first recommended your services to Barbi and Geof at Sea Horse Ranch. Yesterday she asked if I would look at the site you created, and now I have, both on an iPhone and on my home laptop. I think you did a terrific job. Clearly this website has everything the last one didn’t, and it seems it’s being found..